We continuing to publish short online product reviews and this time review is about the product which helps to optimize Magento driven ecommerce web stores for online search engine traffic. To have his ecommerce site grow and continue to receive growing number of visitors one has to pay attention to how SEO optimized the site is. For ecommerce sites its usually much more complex thing to do as such sites have many single product related links, not so SEO friendly url structures and many pages which do not need to be indexed by search engines at all. What is Magento SEO extension? Its All-in-One Magento SEO extension for managing most important search engine optimization settings for your Magento based ecommerce store. 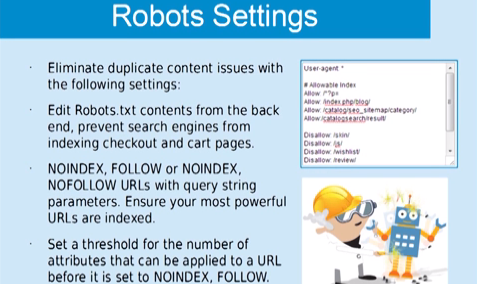 It allows to edit robots.txt rules file from within administration panel, decide which url’s will be indexed / not indexed by search engines, insert pagination to page headers, create meta description templates for specific product categories, generate page titles for paginated content and many other important SEO tweaks which cannot be done on Magento projects by default. You can test full functionality this plugin provides for Magento CMS system. Folks who developed Magento SEO extension have prepared informative video explaining the main functionality of this plugin, how to start and how to achieve the best configuration results after installing it. We hope that from now on you will keep your ecommerce stores well SEO optimized!